Australian National University otherwise known as ‘ANU’, is a national research university located in Canberra, the capital of Australia. Its main campus is situated in Acton . The Australian National University encompasses seven teaching and research colleges, in addition to several national academies and institutes. ANU is Australia’s top-ranked university, positioned among the world’s leading universities. ANU, is one of the world’s most highly-respected universities. Students who wish to pursue a degree here are to follow the simple application processes. Australian university offers degree at all levels. Starting an undergraduate degree is an exciting moment in your life and it will probably be the first time you study at university. Following this guide and having all the necessary requirements would see you having a succesful application. Why study in Australian National University(ANU)? Australia, is one of the best countries that offers quality education. 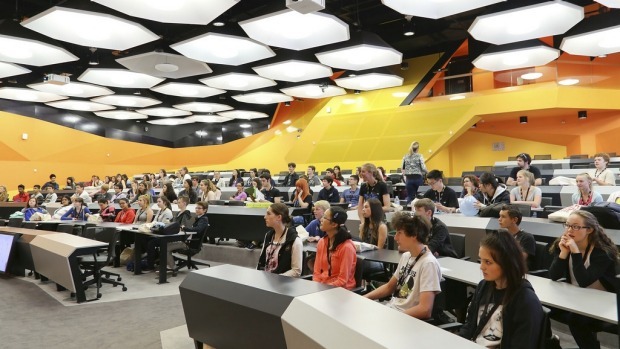 The Australian National University, which happens to occupy the #1 spot of top universities in Australia consistently attract international students to its university. The university is highly recommended for its research-intensive nature. ANU has pioneered a range of flexible degree options that put you in charge of your education, ensuring you can develop the skills and expertise you need for your dream career. If you need assistance ANU has an extensive network of official agent representatives in more than 50 countries. Agents can help you with you enquiries and all aspects of your applications. The admission requirements published here are the minimum requirements that need to be met for you to be considered for admission. Meeting these minimum requirements does not guarantee that you will be accepted in this or future years. ANU reserves the right to amend admissions requirements at any time. Visit Programs & Courses to explore our degree programs. You can search by degree title or subject area, and you can compare or combine two programs with our Flexible Double Degree™ creator. So, even if you haven’t decided what you want to study, you have a flexible option. Each degree at ANU has minimum entry requirements that must be met for your application to be considered and some degrees have requirements, such as prerequisite subjects, that must be met in addition to the overall minimum entry score. If you are applying for entry to a Flexible Double Degree™, you must meet the higher requirement of the two degrees as well as any additional requirements for both degrees to be considered for admission. The following guides provide the minimum entry requirements for a range of secondary qualifications from across the world for commencement in the given year. If you have completed at least one year of study at university, your application may be assessed on the basis of your previous university results. Meeting these minimum requirements does not guarantee that you will be accepted in this or future years. ANU reserves the right to amend admissions requirements at any time. The fee shown here is likely to change in the next academic session. International students pay international student fees, a services and amenities fee, and overseas student health cover. Full fees vary from course to course but start at around $24,000 AUS (£15,700 GBP) for one year of a full-time undergraduate course and range up to £27,300 AUD (£18,200 GBP).